and have not been blocked by the banks yet. If you are a State Bank of India customer and have not applied for the new card yet, then this news is important for you. The bank has already started the process to migrate your card. "Based on RBI guidelines, Bank is replacing the Magstripe Debit with more secure EMV Chip Debit Cards. Since a large number of Magstripe debit cardholders have not exercised their option around applying for new EMV Cards, Bank has therefore initiated the migration process of such Magstripe cards which have been used in ATM/ PoS/ Ecom sites at least once in past 12 months & to EMV chip cards in a phased manner," said the SBI. It also said that such account holders who have more than one debit cards issued in their account, including an EMV chip-based card, the Magstripe debit cards have been deactivated from the backend. Necessary communication to such account holders has been effected from the backend. "In respect of all account holders who have not used their debit cards in past 12 months for ATM/ PoS/ Ecom transactions, the customer may place his request for a replacement card in his/ her Home Branch. No charges will be recovered by the Branch for such re-issuance." The bank said, in addition to this, customers may apply for new debit cards through the internet banking portal as well. "Customers need to navigate to e-Services > ATM Card Services > Request ATM/ Debit Card > Select Primary account and secondary account (optional) > Enter the name to be embossed on the card and SUBMIT the request," it said. The bank has also rolled out a new functionality “My Card” that allows a user to get Personalized Image Debit Card in which he/she can choose the design/ image to be printed on the card from the gallery of images provided by the Bank. However, if you have received the new EMV card, you can activate it by making one successful any PIN-based transaction like using any PoS terminal, any ATM or other channels like Self Service Kiosks, Green channel counter, etc. 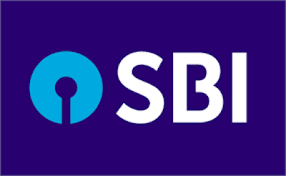 The customers can also activate their Debit Cards through internet banking at www.onlinesbi.com by following these steps: Login>> e-Services >> ATM Card Services >> New ATM Card Activation.